Everyday women openly share their weight loss solutions for losing weight on their own terms during this Sisterhood Summer Slim-Down ‘Sonic Session’ held in July 2018. Among the women that shared life lessons learned, there were weight loss success stories ranging from 18, and up to 60 pounds. The programs were as diverse as the women and included Oprah Winfrey’s ‘Weight Watchers’ program, Live Strong online option, to do it yourself (DIY) healthy eating and weight loss plans. One ‘Sisterhood Share Club’ Contributor shares her personal weight loss solutions and ‘Weight Watchers’ experience. She recounts an epiphany, or as Oprah would say, an ‘Aha’ moment regarding her personal experience with the Weight Watchers program. She shared it was her fifth (5th) time attempting to lose weight with the program, and until now she had been unsuccessful. It finally dawned on her that the program only works when used as designed. Imagine that. Well, as a result of following the plan as instructed, she was able to lose 31 pounds. The women in attendance weigh in to share their personal experiences for what works well, and perhaps not so well when attempting to shed pounds on any program. Michelle-Talked about being consistent, and not beating yourself up for every little setback (Weight Watchers Program). Tonya-Talked about exchanging unhealthy cravings for healthy cravings, and the importance of inspecting what you expect (Live Strong Online Program). Diane-Talked about the tasty alternatives found in vegetables, and the importance of making them appealing to more easily incorporate into your meal plan. Watch for subsequent videos in this series, found under ‘Sisterhood Share Shorts | Health, Food & Fitness’ video playlist, where each of the women describes in more detail their specific personal weight loss challenges and ultimate ‘Health Plan’ successes. Disclaimer: Sisterhood Sharing Sessions has no affiliation with any programs or businesses referenced in the session. 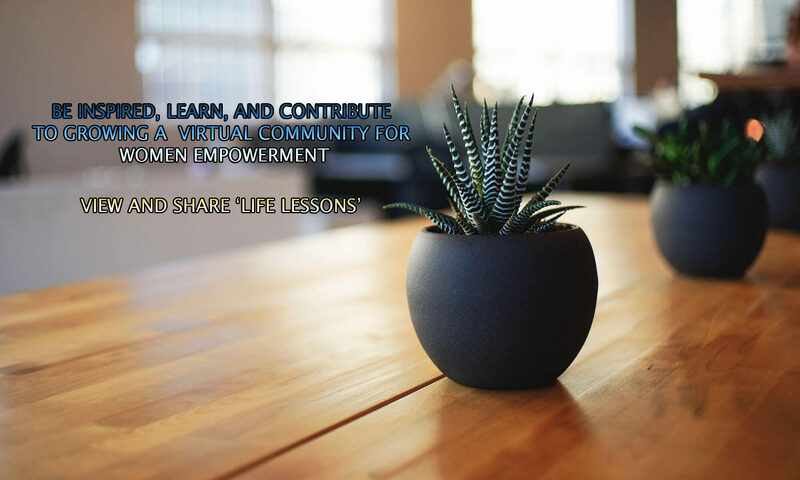 Life lessons shared are informational and educational only, based on actual experiences.